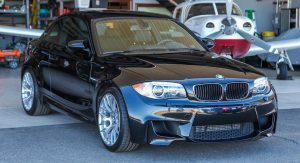 Is A Used BMW 1M Worth $7K More Than A New M2? 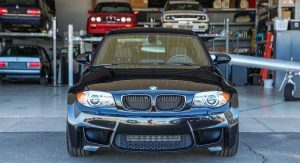 From the moment BMW stopped selling the 1M, prices for the little sports car skyrocketed. 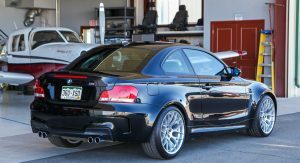 In recent years, the new BMW M2 may have taken over the 1M’s spot as being the most affordable and smallest M-badged car in the automaker’s lineup, but enthusiasts are still willing to spend loads of money on a used option. We have to admit that we’re not really surprised to see how high prices have risen for a clean 1M. What is surprising, though, is just how quickly prices have gotten out of hand for the vehicle. When the 1M came out at the tail end of 2010, it cost just $47,010. 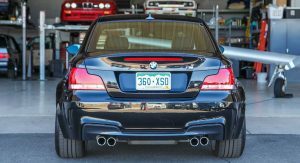 At the time, it looked like the automaker was consciously returning to lightweight, well-balanced sports cars like the E30 M3. 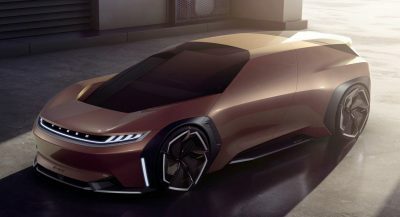 Despite it’s confusing name, auto journalists, like Chris Harris, claimed the vehicle would be a “car that everyone wants.” He wanted one of the options so badly that he was willing to pay loads of money for one. Apparently, the Top Gear host wasn’t the only enthusiast out there that’s willing to do so. A 2011 1M with roughly 15,000 miles on it just sold for $62,500 on Bring a Trailer. 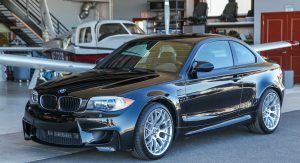 For those that need a refresher, that’s nearly $7,000 more than a brand new M2. If you’re willing to do some searching, you can find a M2 for even less – like this example that’s going for $47,978 on eBay. Going with that option raises the gap to $14,522. On paper, it’s hard to see why people would pay that kind of money for the 1M. 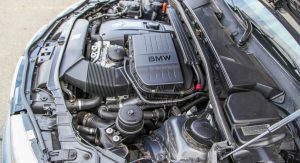 Power for the sports car comes from a 3.0-liter twin-turbocharged straight six that makes 332 hp and 332 lb-ft of torque. 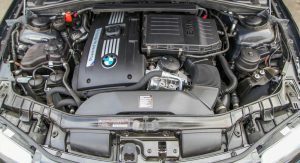 The M2, on the other hand, is the more powerful of the two thanks to its twin-turbo 3.0-liter inline-six that makes 365 hp and 369 lb-ft of torque. 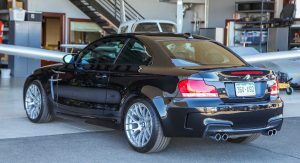 The thing about the 1M, though, is that it shines over the M2 on the road. As Harris found out in a lengthy video, the shorter wheelbase and hydraulic steering made it the sharper choice. 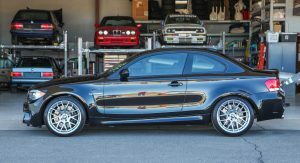 It’s more interested in hooning, while the M2 is more capable as a cruiser. Either way, if you’ve wanted to get a 1M now’s the time to get one, because, as Bring a Trailer’s handy graph reveals, prices will continue to go up. I was never a fan of the 1-series when it debuted. Dated interior and exterior.